Nowadays, everything has become digitalized. In the recent years, Digital Marketing has immense growth especially after 2010. Digital Marketing is one of the booming career options today. This field is creating a strong impact on the world of marketing and advertising. Particularly, any startup company uses the marketing strategy as digital. Digital Marketing course after MBA is the best choice to invest your money and time. Digital Marketing is beneficial to MBA graduates who are specialized in areas like Advertising and Marketing, Marketing, event management and PR, Communication and PR, PR. It will add more value to your career and this skill set is more valuable by many corporate industries. A traditional MBA program doesn’t cover the subject of Digital Marketing in detail. 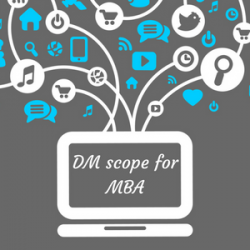 Current MBA programs do cover the essentials of DM. However, going for Digital Marketing Course will enable you to know the usage and benefits of this promising field. The ultimate objective of most organizations is to acquire more clients and to sustain the current customers. Digital Marketing is a medium, which helps to gain good clients and projects through online. This technique enables companies to build loyal customer and online reputation. Undergoing Digital Marketing Certifications programs will be useful to MBA graduates to be familiar with all above aspects. Digital Marketing is the latest marketing strategy where you can start promoting your product/service through digital media like the Internet. Since you are pursuing or graduated with MBA degree you should have some knowledge in marketing skills this is the best skills to accelerate your career. Digital marketing is a booming field where you will get numerous opportunities to gain knowledge. If you are looking forward to making your career in the digital marketing field and you are not aware of such skills. Digital marketing course will help you, but make sure you are learning the course from industries experts with minimum 5 years of experience. Along with that, even you can start your own website or blog this will only help you to start up but will also help you to learn practically. Also, make you different from others in the industry.